A renowned comedian, Ali Baba, has said that he was paid N82,000 for his first endorsement deal in the late 90s. At the time, Nigeria’s exchange rate was around N80/$1. Based on present day exchange rate, Ali Baba’s first endorsement deal would be worth N369, 000. Ali Baba said that he started making millions when the profession was still in its infancy in the country. The comedian spoke against the backdrop of an award conferred on him by The Verdant Zeal Quantum Awards at Civic Centre, Victoria Island, Lagos. He said, “When I got my first endorsement and I was paid about N82,000, someone who saw me with the cheque asked what I do for a living and when I said I am a comedian he was baffled. “The person did not even have an idea that I had got an endorsement from Guinness Nigeria Plc that was worth about N1.2m. We don’t need to shout over this. Ali Baba added that he was now on another platform and not the regular one people used to see him on. “I still crack jokes but people won’t see me on the platform they are used to. “I will be 30 years on stage next year, so I have moved on from the platform people used to see me. I have to leave the platform for upcoming actors. “It is like a bank structure where there is a cashier attending to costumers, after 20 years you don’t expect to see that cashier still counting money behind the counter. 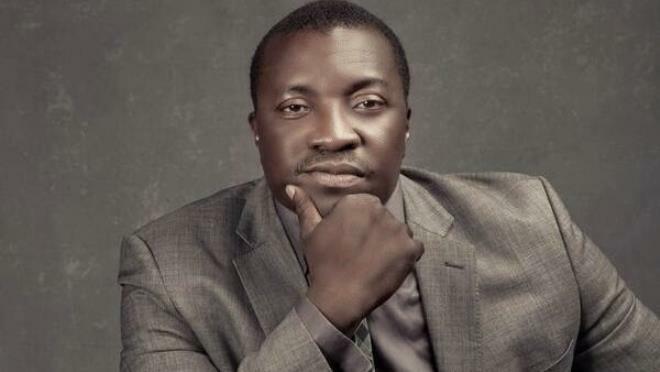 Ali Baba said that he was more into mentoring budding entertainers on the business side of showbiz. “The thing I do is that I teach by example, a lot of them have watched me perform; professionalism is key and talent is important. “It is important that you develop your talent when talent becomes a service that is when people will require it. Nobody will buy a talent if it is not for service. “I teach other comedians to be humble, focused and think ahead. I expect that others should beat my strides. “My strides are like foundation for a lot of comedians to grow with but with recent technology, the platform is now wider and accommodating,” he said. Ali Baba said that the current lull in the show business should be a wake-up call for entertainers to be more creative with the profession. “As a comedian, you need a lot of information which is why we have a lull in the industry now, people don’t create jokes anymore, but are looking for people’s joke. “It is a wake up for emerging market and for comedians to improve on their act every time and read. “Once you have information you will grow, so, I teach a lot of them to seek for information which is the only way to sustain them in the profession,” he said. Ali Baba, born Atunyota Alleluya Akorobomerere, is a versatile entertainer, a stand-up comedian of great repute, radio show host, motivational speaker and actor.